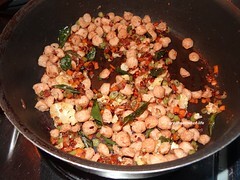 Heat the pan and add oil add mustard seeds. 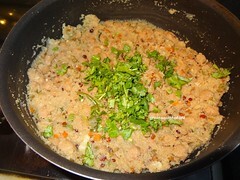 When it start to pop up add urad dhal and bengal gram dhal fry till it is brown in color. 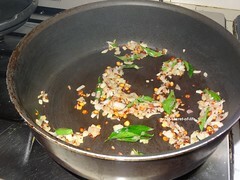 Add Onion, Green chillies, curry leaves. Fry till Onion is transparent. 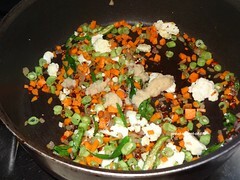 Add ginger paste and vegetables. Fry and sprinkle 2 tablespoon water and salt. Cook the Vegetables. 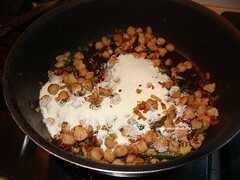 Add soya chunks. And fry for 1 min. 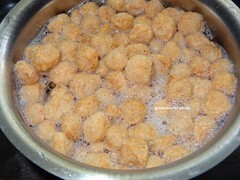 Add 1 cup rava and fry for 2 mins. Add 3 cups of water and check the salt and adjust it. 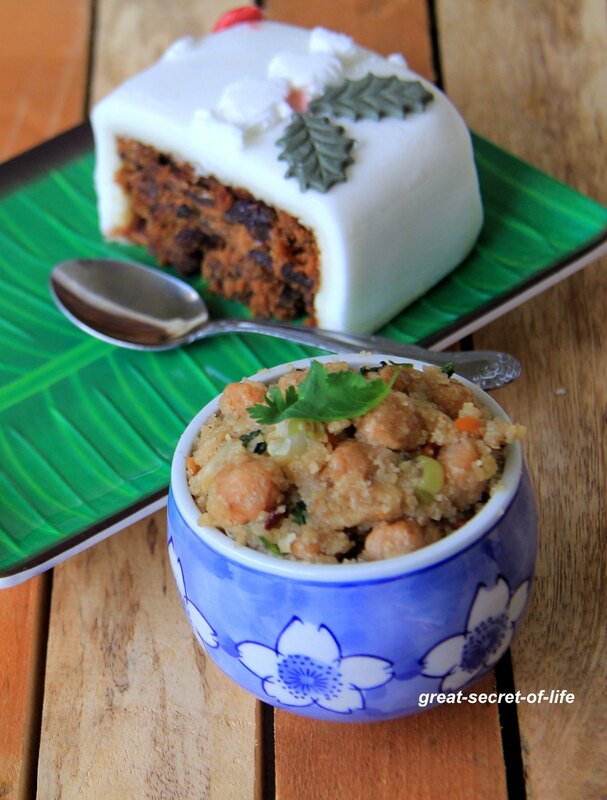 love the addition of soya chunks,yumm!! I am also just like your son when it comes to soya. love the addition of soya. Looks so packed full of flavours! 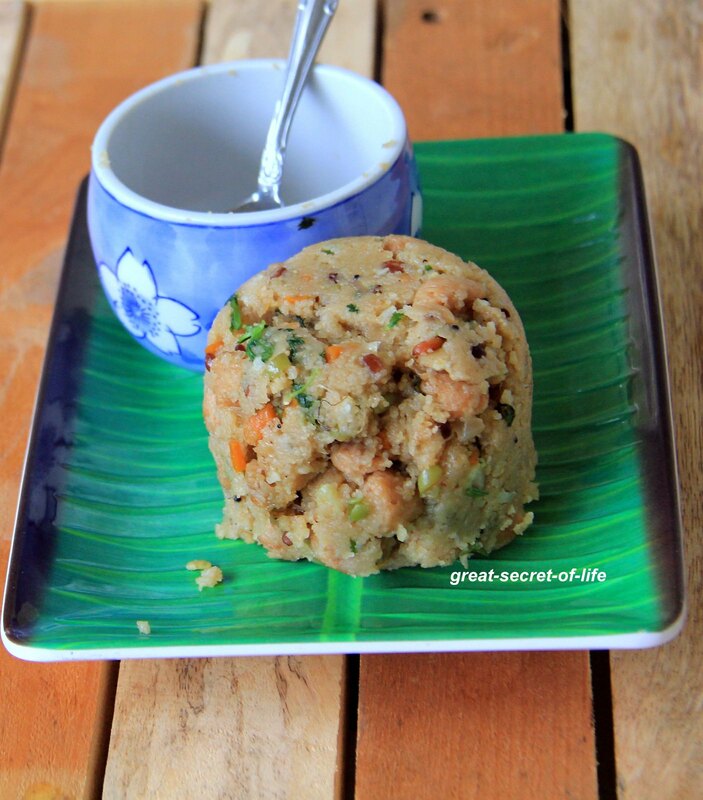 Love the addition of soya, making it more nutritious and filling..
fabulous idea of adding soya chunks to upma..yumm n healthy!!! 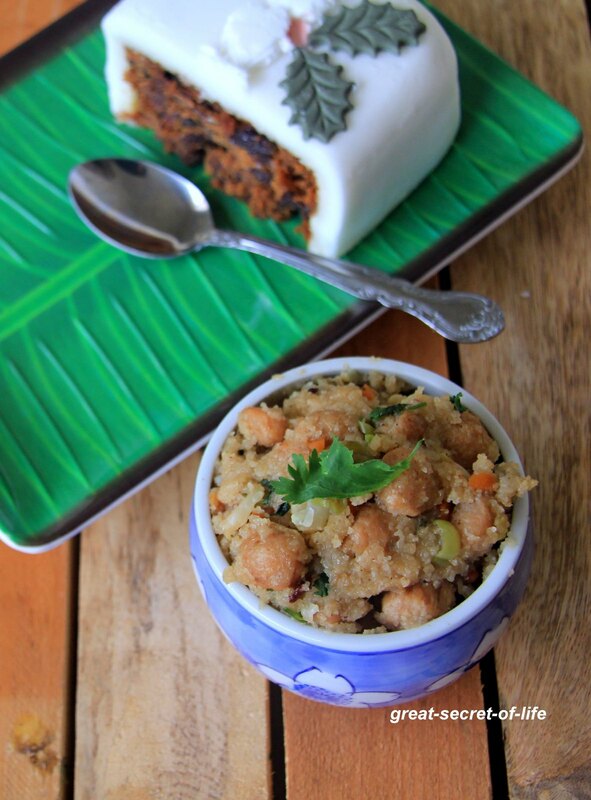 Brilliant idea of adding soyachunks to the humble upma,looks fabulous. 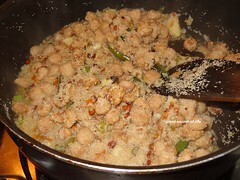 gud variation to usual upma n healthy too!! !